The party’s over, the fat chilehead has sung, and another National Fiery Foods & Barbecue Show is behind us. The 24th annual show welcomed over 17,500 trade and general public attendees to the Sandia Resort & Casino, an increase of 3,500 from the previous year. Local exhibitors showcasing everything from hand-ground mustard to sugar-free mojito mixes said they benefitted from the increased turnout. 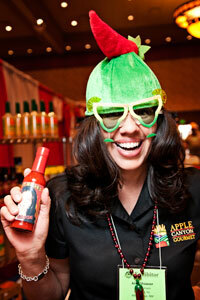 Long-time Fiery Foods Show exhibitor and Apple Canyon Gourmet founder Anna Shawver said her booth sold out of their Santa Fe Mixes Sunset Margarita Mix on all three days. Their new Prickly Pear Margarita Mix was also a big hit with attendees. “We sold more wholesale orders and obtained more wholesale leads this year,” said Shawver. The Apple Canyon Gourmet family of brands include Santa Fe Mixes, Santa Fe Seasons, Comida Loca Soup Mixes and Holy Chipotle!, all of which are locally manufactured at a facility just minutes from Sandia Resort & Casino. AlbuqCOOKIE founder and owner Stephen Hoffman said 2012 was his best year yet at the Fiery Foods Show. “We sold out our inventory of 320 bags at the end of the second day, and practically sold out the third day,” said Hoffman. 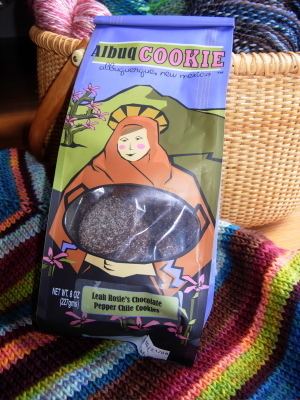 Made by hand with simple, real ingredients, AlbuqCOOKIE’s lineup includes Green Chile Pecan Sandia Cookies and Leah Rosie’s Chocolate Pepper Chile Cookies. 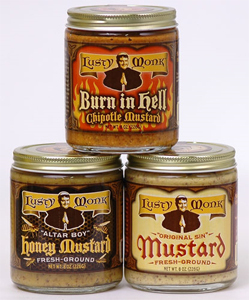 The Albuquerque original also got their start at the SVEDC and is now available at several local grocers including La Montanita Co-Ops in Albuquerque and Santa Fe. Hoffman said they secured two new store locations this weekend, including their first-ever outside New Mexico. Albuquerque entrepreneur Bonnie Burchell is celebrating her second successful year exhibiting Bonita’s Mixes, her line of sugar-free, low-carb cocktail mixes. Burchell said the mixes received an “incredible response” from attendees, and they even made inroads with a regional buyer from a large warehouse chain. A woman veteran-owned business founded in 2010 by Burchell and Sean Hetherington, Bonita’s Mixes includes a margarita mix, a mojito mix and a sweet ‘n sour mix, all made with real juice. 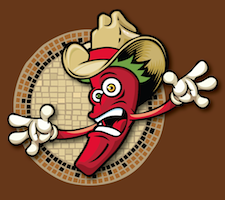 Founded by the “Pope of Peppers” Dave DeWitt, the National Fiery Foods & Barbecue Show is held annually in Albuquerque, New Mexico. 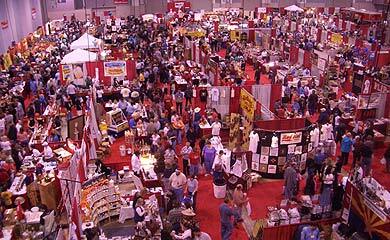 Attended by exhibitors and buyers from across the country, it is the largest spicy foods and barbecue show is the world. For more information visit www.fieryfoodsshow.com.